Sarkar Times 24*7: Still in Office? Try This...on Diwali !!! Still in Office? Try This...on Diwali !!! Diwali came. Almost All Celebrated. Lots of Noise from dusk to dawn. For me this festival is a time people do really come out from their havens to burn crackers, visit neighbors and party harder. Many of the working class take a week long holiday to celebrate with family. But a few unlucky like us sit back at our office; do the routine job; hear the sound of crackers; watch the fireworks and do a face palm(sic). 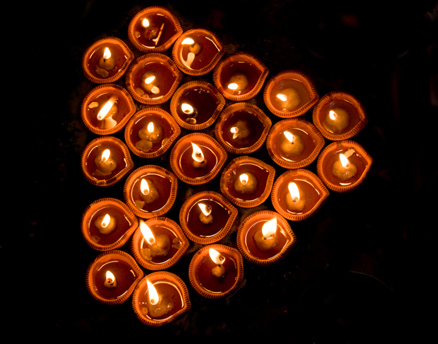 Happy Diwali to all my friends in different companies earning a day for nothing. We expect a treat from our fellow colleagues on the special evening but yes we end up giving treat on that day. Irony. But those guys stuck in their office who were denied leave and were ordered by the highest authorities to obey the company's rules and obligations will someday rise against the management and finally will open out their hearts and proclaim one day, " How about a Diwali Party?" Guys!! Cheer up its your right, ask your boss for an office party. Nowadays most of the companies are following this urban culture. One more party why not? Or catch the guy whose birthday or anniversary falls on the special day. Demand for cancellation of his leave and rejoice.